As soon as I got my hands on a Canon 7D,the first thing I needed to upgrade were my media cards. My old 8gb Sandisk Extreme III CompactFlash cards were just not big enough nor fast enough to keep up with the 7D. Since I plan to experiment with HD video, I was planning on at least 16gb cards, but which ones? The wrong media card can create a bottle neck to slow you down and your next shot. With video, it can mean dropped frames and audio drop-outs. Unfortunately, it is not as simple as comparing the listed speeds on the cards. It’s more like comparing apples and pineapples; they may both have “apple” in their name, but they are definitely NOT the same. There is no standardization involving the speed of the cards. A manufacturer’s speed rating is only a reference for that manufacturer. 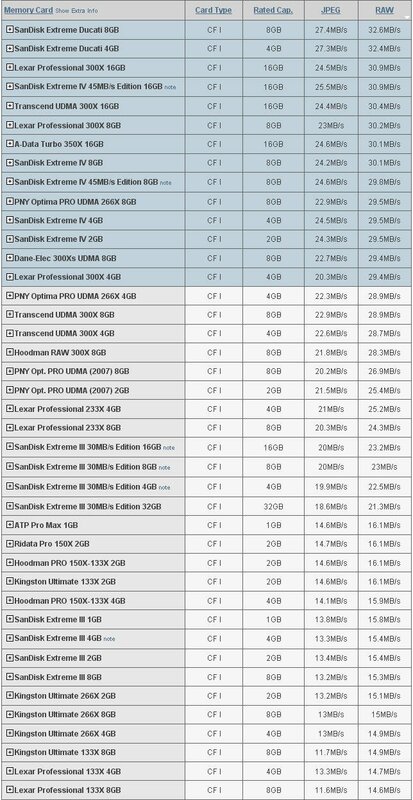 A 300x speed rating from SanDisk is not the same as a 300x from Lexar. So, what can you do? Each of these cards had virtually the same performance ratings which allowed me to focus on price and availability. Since the SanDisk cards also had a rebate, I decided on 16gb SanDisk Extreme IV. This card can hold almost 50 minutes of HI-DEF video or almost 500 RAW images. I plan on testing the 7D this weekend and posting results next week.